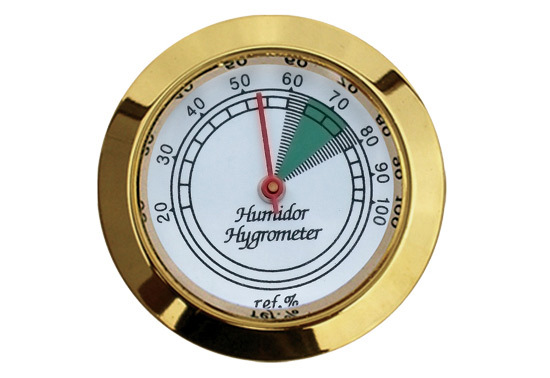 This sharp looking gold frame analog hygrometer for humidors enables its users to closely monitor the relative humidity percentage within their humidor. 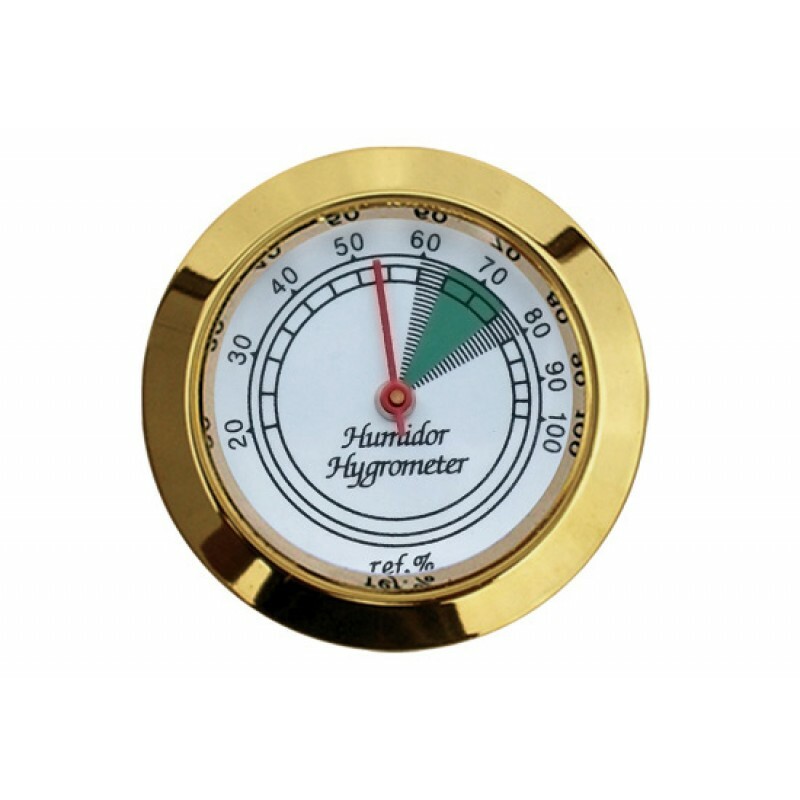 This hygrometer features a glass face and a color marked "acceptable range" for easy monitoring. Includes double faced Velcro adhesive so you can affix the hygrometer into place anywhere within your humidor. Worked as described, very nice style. Got them quickly. When I bought this hygrometer, I was somewhat figuring it would be some cheap plastic not very accurate piece from China. Well, let me tell you I was very wrong. It reminds me almost of a precision watch, made of metal with actual glass face.